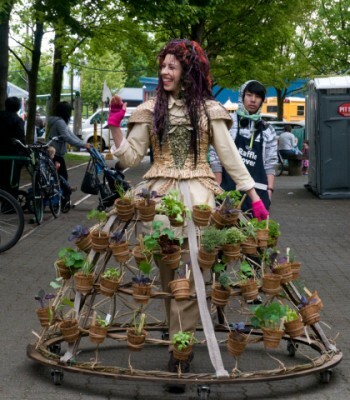 The Mobile Garden Dress is a self-sustaining garden and shelter for the new urban nomad, complete with pots of edible plants and a hoop skirt which converts into a tent at night. This garment is 100% compostable and recyclable. 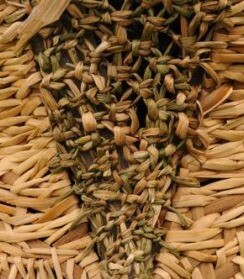 It is contrusted from natural materials such as Willow, basketry reed, grasses and leaves. 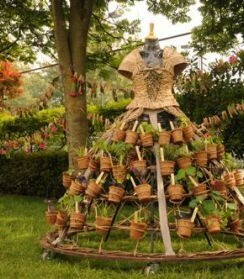 The hoop skirt is covered in pots containing live edible plants such as herbs and vegetables. 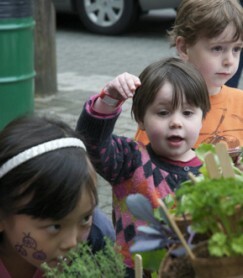 The dress advocates for an autonomous and democratic urban lifestyle based on self-sufficiency. 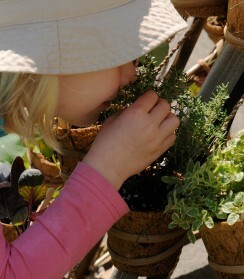 During the day, Madame Jardin interacts with people and engages them in conversations about plants, gardens and composting. 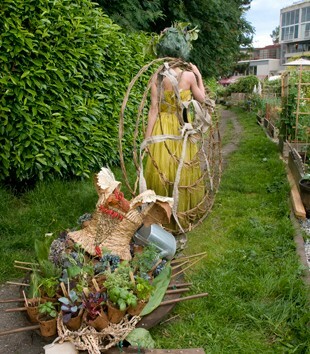 At night she can sleep in her tent/skirt, unwind and water her plants in a local community garden. Like a true nomad, her camp can be quickly transformed; her hoop skirt collapses into a light-weight framework, her organic cotton tent fabric becomes an elegant dress and all her belongings fit onto her wheeled structure. 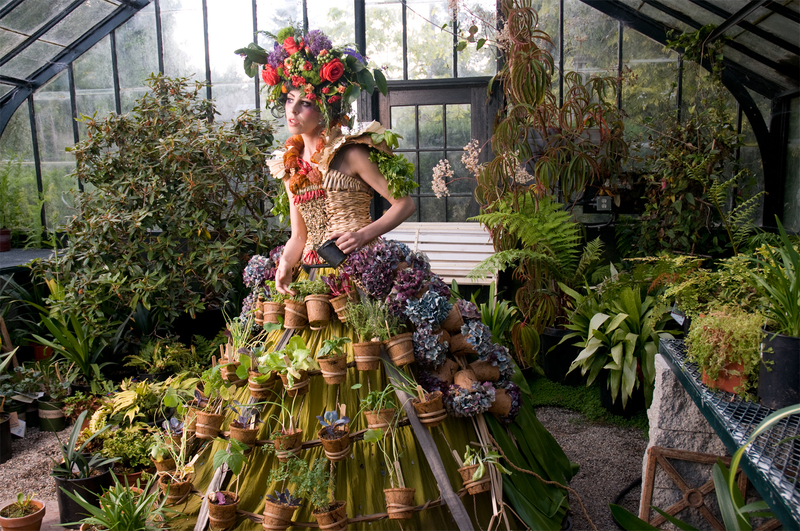 The Mobile Garden Dress was commissioned for the Vancouver Children’s Festival and was worn everyday for a week by artist/actor Nita Bowerman, who was usually followed by a gaggle of chatty children who wanted to water her plants and smell the herbs. 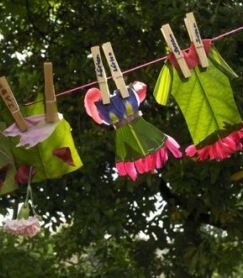 During this week I taught workshops to kids who helped create the Eco-Wardrobe installation, which consisted of outfits made from leaves and flower petals hung on a clothesline on site. 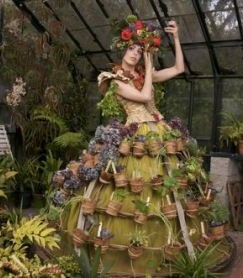 I later added more detail to the dress and we took photos of Nita wearing it in a greenhouse at Southlands Nursery owned by Thomas Hobbs. 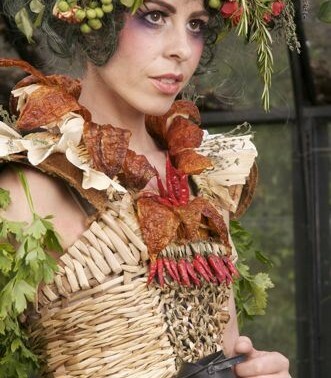 For this I created an elaborate head piece out of edible flowers and added accents to the dress such as the collar made from Peruvian Chili Peppers. 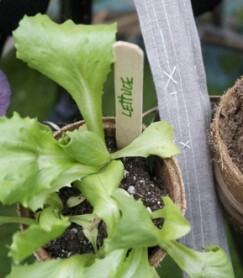 She was right at home in the steamy greenhouse surrounded by her potted friends. Watch video of the dress in action here. 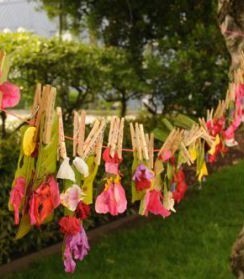 #"urban nomad" #art #gardening #herbs #Photography #vegetables #"edible flowers"
Really beautiful! 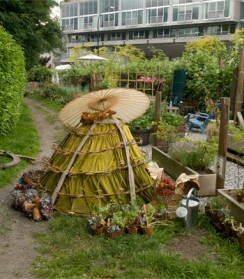 Self sustainable and enjoyable to look at, well done! ohh Nicole, you HAVE been busy! 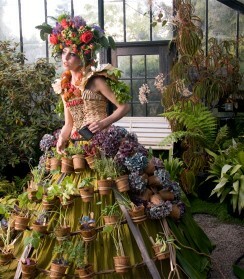 stunning work, am in awe of the garden dress!